Rinse and dry ribs. Place on a clean cutting board and pull off the membrane, the thin fatty skin that lines the underside of the ribs. Trim the ribs of excess fat and meat. Liberally season both sides of the ribs with 1/4 to 1/2 cup Neely's BBQ Rub. Wrap ribs and refrigerate for at least 8 hours so flavors can permeate. Preheat grill to 250 degrees F using hickory and charcoal. Use indirect heat and cook with the cover down. Place ribs, meatier side down, on the grill away from the coals. Cook beef 2 hours, adding more coals as needed. Turn and cook for 45 minutes more, or until the ribs "bend" and the meat easily separates from the bone using a fork. Cook the pork ribs 3 hours. Turn and cook another hour, or until ribs bend. Remove from grill. 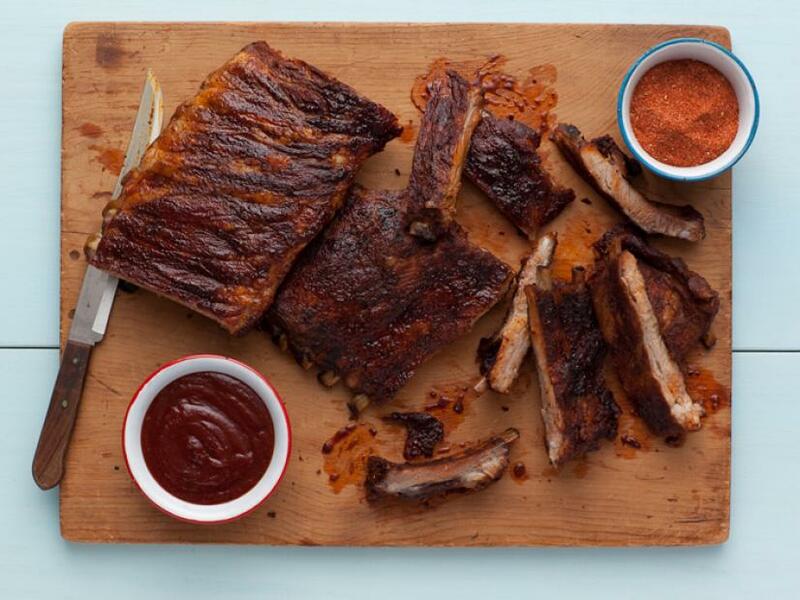 For dry ribs: Sprinkle extra Neely's BBQ seasoning over ribs, cut bones and serve. 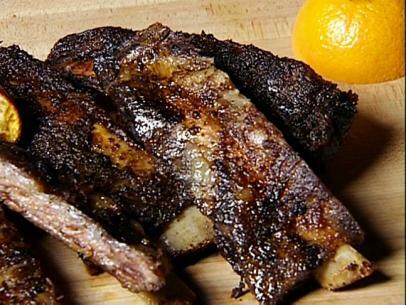 For wet ribs: Coat ribs with Neely's BBQ Sauce, cut and serve. In a medium saucepan, combine all ingredients. Bring mixture to a boil, reduce heat to simmer. Cooked uncovered, stirring frequently, for 1 hour 15 minutes.